OOC NOTE, 20 JUNE 2018: All artifacts are currently valued in USD, out of my laziness to deal with the mire of Terran currencies; however if you wish to valuate your artifact under a particular currency, feel free to do so! The International Art and Artifact Catalogue is a database managed by the National Gallery of Indrala of works of art and historical artifacts worldwide. Pieces can be browsed by collection or individually. Last edited by Wu Han on Wed Jul 04, 2018 8:42 pm, edited 5 times in total. OVERVIEW: This fan leaf painting was produced in the Beiyidom of Fehua around 1230. The piece eventually came into the possession of the Sun Clan, today the Imperial Household of Indrala, who ruled over the region for nearly 750 years. In 4402, the fan leaf painting was given to Count Lü Yejun by the Tianshun Emperor in acknowledgement of the Count's 90th birthday, and for his long service to the public life of Indrala. Some minor damage has been reported: Loss of color can be found on seals and flower, especially white color; Minor stain spots and foxings. TITLE: "Hills of Shu 2"
...the emotional landscapes of our Southern provinces puzzle me; a riddle written by Heaven and the Gods, unravelled by our ancestors and yet never solved. A mysterious land of jade mountains reaching for the sky, low rivers and colourful fields. 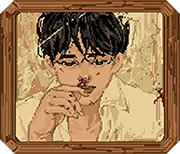 Images which have not yet faded from my mind; lest they ever do. 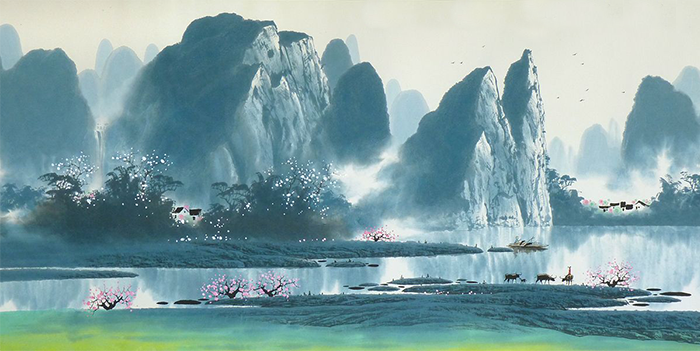 On June 25th 4393, the Lady donated her "Hills of Shu" collection to the Ministry of Education and Culture. TITLE: "Untitled Cloisonne Enamel Vase"
OVERVIEW: This vase is of square section, the rounded sides rising from a tall spreading foot to a waisted neck and straight rim, decorated in bright enamels to four sides with a bird perched on flowering branches next to rocks, all reserved on a turquoise ground, between wide bands of scrolling lotus at the foot and lappets under the neck. The vase was stolen from a private collector in 4322 and has not yet been recovered. 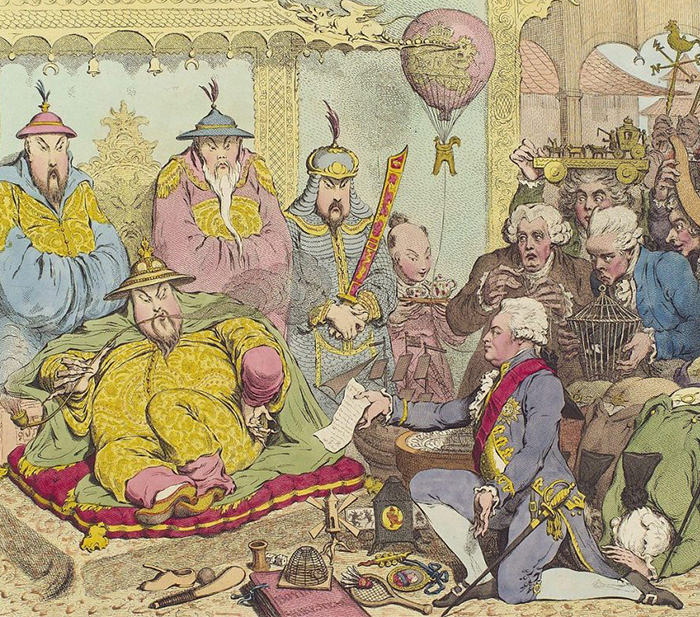 TITLE: "Deal with the West"
OVERVIEW: This piece was created in the early Mingzhu Dynasty by famed woodworker and sculptor Dong Zan in or around 3477. 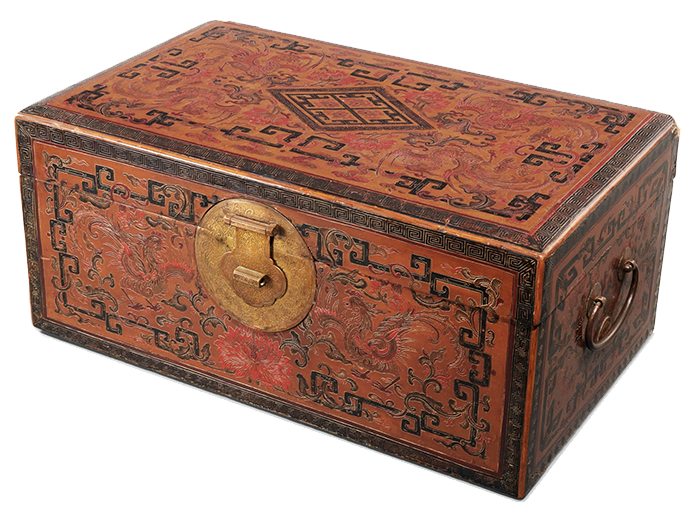 The box has a hinged top incised with four large phoenixes around a lozenge-shaped panel, all within a ruyi cloud and strapwork frame with a keyfret band at the edges, all picked out in red, green and black and reserved on a brown ground, the sides similarly decorated, set with an incised gilt-bronze lock plate to the front face, a pair of hinges to the rear and a drop handle to the left and right side, the interior lacquered red. The piece was gifted by the Tianshun Emperor to the Mikado of Gao-Soto in January 4408, filled with aged puer and green teas. The box was chosen due to the symbolic nature of the phoenix as the national animal of Hulstria/Gao-Soto, as well as the box having been created during the Mingzhu Dynasty, during which Indrala and Hulstria entered into the Phoenix and Dragon Treaty. The current location is unknown, but reasonably predicted to be among the Mikado's personal collection. OVERVIEW: This piece was produced in the Beiyidom of Fehua around the year 1200. 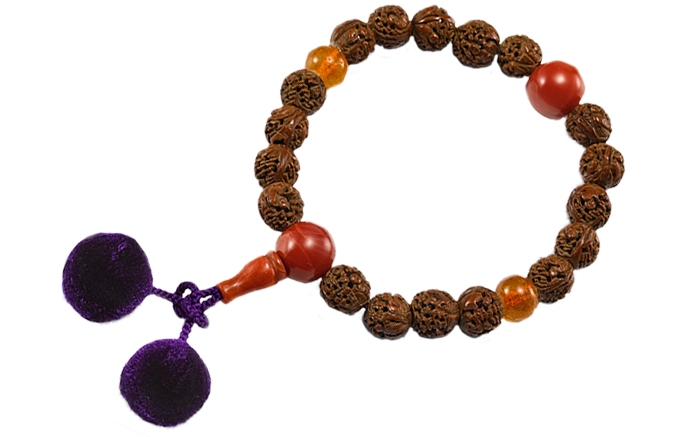 The piece is comprised of eighteen reticulated wood beads each carved with figures amongst landscapes, two amber and three carnelian agate beads, all strung into a bracelet. The bracelet was gifted to Prince Jianlong on the event of his guan li (coming-of-age) ceremony by his younger sister, Princess Fengmian. In 4309, Prince Jianlong gave the bracelet to tenant farmers in Yi'an, Min Province, encouraging them to sell it in exchange for much needed funds. The villagers alternatively placed it in a shrine constructed to pray for the Prince. Last edited by Wu Han on Mon Oct 01, 2018 1:01 am, edited 1 time in total. 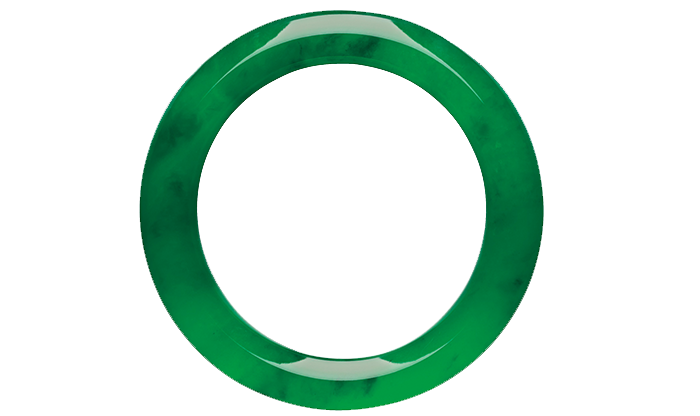 TITLE: 'The Circle of Heaven"
OVERVIEW: The highly translucent jadeite bangle of fine texture and brilliant emerald green colour throughout was a gift from the late Tianshun Emperor to Empress Kyunghee during their youth. Since then it has become a symbol of eternal love in the Imperial Clan, with it being passed to each consecutive Empress by their spouse, the Emperor. OVERVIEW: This piece was created by prominent Indralan goldsmith and jewelry designer Tan Yu upon commission by the Indralan Imperial Household Agency. The piece was designed to be gifted to the Queen of Vanuku upon the visit of a Vanukean delegation to Indrala. 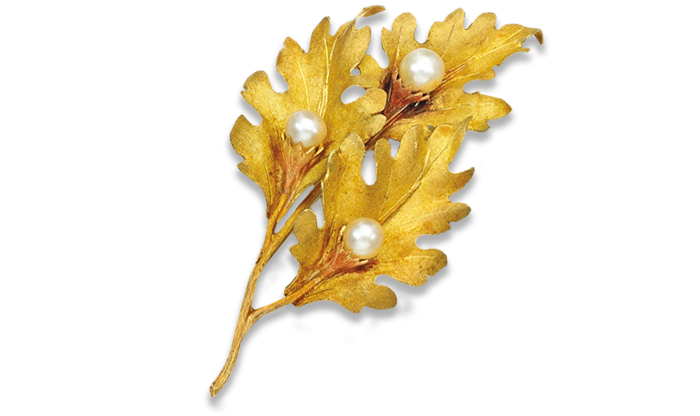 The 18 carat gold oak leaf and pearl acorns were inspired by the Vanukean coat of arms. LOCATION:Gallery of the Arts and History,Turtle Bay, Keymon. OVERVIEW:This bust is of one of the first queens of Klavia Okeano, Queen Anthousa. She ruled a tiny island to Keymons north-east, and was one of the first queens of Keymon. She ruled from 918-941, when she died of pneumonia. Her rule saw things like the creation of a military, creation of the 1st universities in Keymon, and she oversaw the first foreign trade vessel to reach Keymon. In accordance to ancient tribal practice, she was buried in an undisclosed mountain, near her tribes lands.